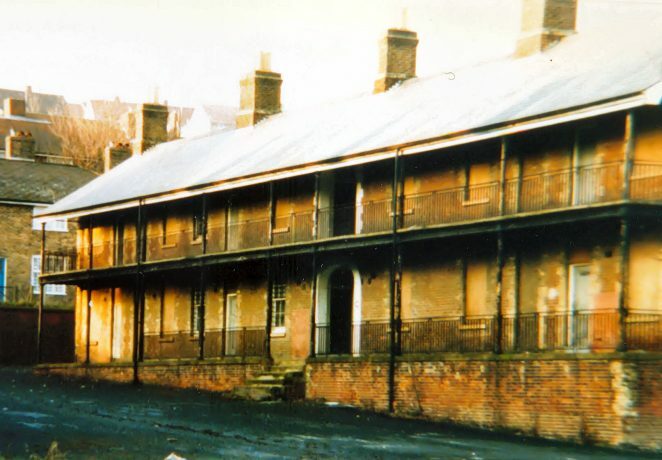 In 1960, I enlisted in the Territorial Army, and for the following six years, made regular attendances at their drill hall in the northern most corner of Preston Barracks. I was encouraged to join by Roy Best, a work colleague who was the son of a local Alderman, and at his direction, found myself joining of all things, the Army Intelligence Corps (TA). The great thing about the “I” Corps was that like the Royal Signals that we became later, the Corps also included girls, many of whom were quite, no, were positively attractive. Furthermore, virtually all of the “I” Corps military exercises and drills were done in civvies, so even when I was eventually issued with a uniform, I seldom got the opportunity to wear, press, blanco, or just clean the numerous brass fittings on it. Victor Lander (of East Brighton Bygones) who is still a great friend of mine, joined at the same time, and we are still great buddies some 50 years on. After about two years, the war office re- jigged things (as they are still prone to do) and combined us with the Territorials from Dyke Road Drill Hall, and we became 3 SCA Squadron of the 44th (Home Counties) Royal Signals Regiment (Cinque Ports) TA. The SCA was the last remaining remnant of our former local military history and stood for, South Coast Artillery, which the Brighton’s territorials originally were. During that reorganisation we also lost much of our regimental silverware which made its way into some other regiment’s private vaults, never to be seen by us again. Amongst the many lost items I particularly recall a wonderful cigar lighter consisting of a length of polished Ibex horn, which had its wick in a large spirit filled silver ball that rotated in a gimbal mechanism.